I was on a mountain road in Mussoorie when it rained. The clouds crept up slowly and engulfed me, caressing my skin with cool softness. The ghostly whiteness closed in until I felt as though I was walking through water. I couldn’t see more than two feet ahead of me. And then it started pouring. It was like being adrift in a vacuum with just the sound of the rain for company. I covered up and found a rocky overhang to wait under for shelter. And as the cloud passed by, bits of vastness start peeking out. A glimpse of a valley here, a hilltop cottage there. When it cleared, wisps of clouds trailed the peaks as if the mountains were steaming. While in the hills, one of the biggest mistakes you can make is not venturing out just because its raining. And this is true in Mussoorie more than anywhere else. From July to the end of September, the town and the mountains play hide and seek with monsoon clouds. It was the climate that first attracted the British who virtually made Mussoorie the summer capital of the country. The fact that Shimla ultimately got the honour should be viewed as a blessing because, unlike Shimla’s concrete nightmare, Mussoorie remains an elegant town, buzzing like an urbanised mountain hamlet. 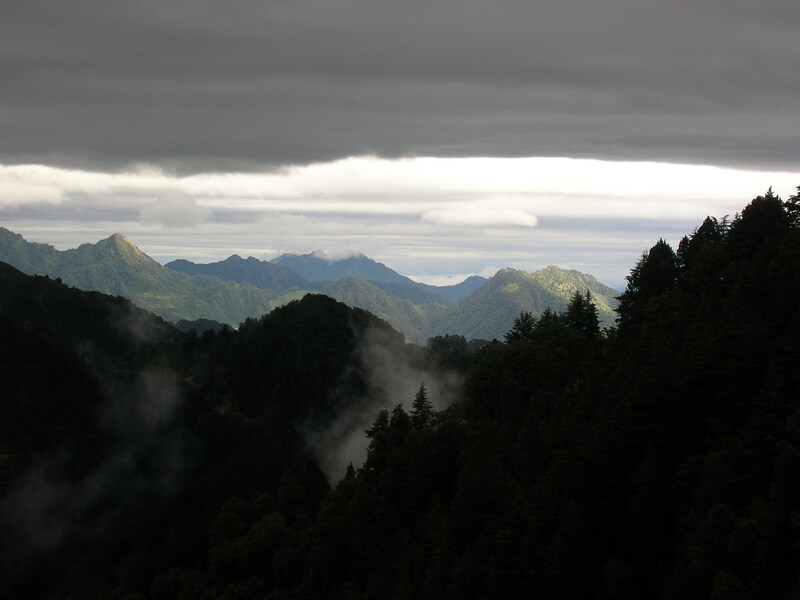 It is a long walk from Lal Tibba, the highest point in Mussoorie, to Everest House, at the other end of the ridge. So start early, leave room for the occasional breather. 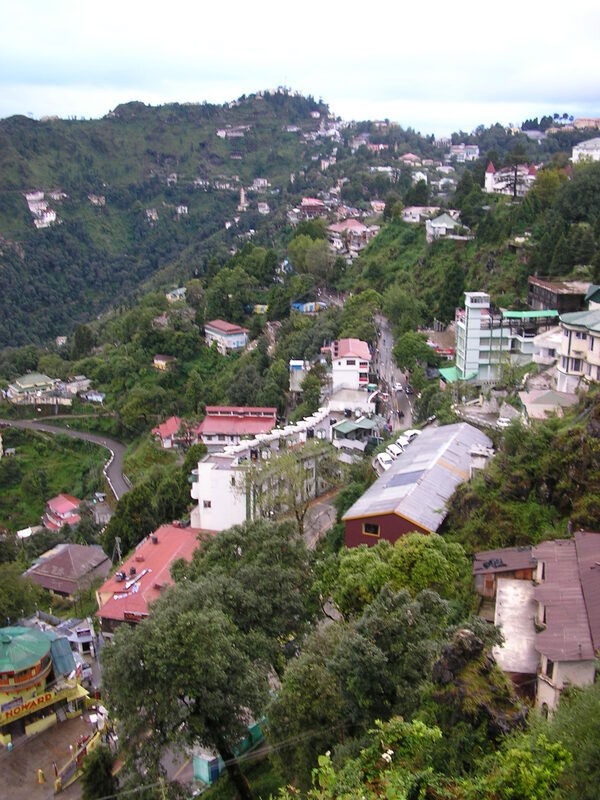 Walking in Mussoorie is all about a leisurely pace and stopping for the views and for a cuppa wherever you want. I suggest taking a car up from the Picture Palace bus stand to Chaar Dukan (or the Four Shops). This old mini-marketplace marks the entry into the forested hilltop of Lal Tibba. A full 1,000-ft higher than the Mall, it towers over the rest of Mussoorie. It is a quiet part of town, where stately bungalows are interspersed with churches and cemeteries. And the mist as always, wrapping itself up in the pine tops. Lal Tibba is marked by the Childer’s Estate, established in the 1860s. On clear days, you can get fantastic views of the greater Himalayan range from here, thanks to a pair of old highpower Japanese binoculars. Even if an overcast sky disappoints, look closer at the green slopes and breathe deep. “Refreshing” doesn’t come close. Once you’re done with views you could take the long way back around the hilltop, past the discreet bungalows and deodhar trees right up to the Doordarshan centre with the TV tower. The road runs down to Chaar Dukan intersection. From here, you could walk down to old Mussoorie (Landour) via the driveable road or take the steeper road that the locals use. Fantastic views of the cloud covered Doon Valley are broken up by picturesque little houses where the locals go about their business—kids coming home from school, housewives returning with vegetables from the market, dogs lazing in the sun. The short cut leads to the Tehri bus stand, which marks the beginning of Landour. Landour is where it all began 200 years ago in a familiar story of British violence and intense romanticism that was the schizophrenia of the Raj. 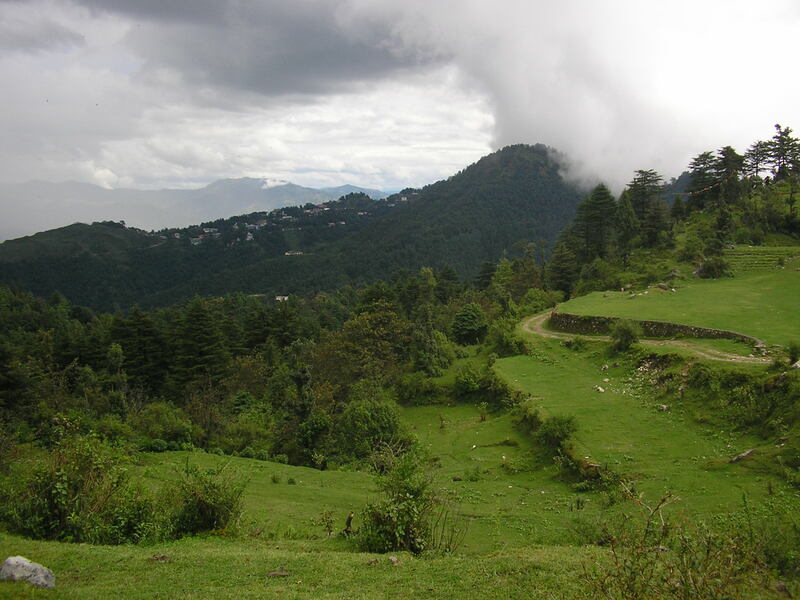 For centuries the area of Landour and Mussoorie was a high pasture ground for cattle. In 1814, the British defeated the Gurkha kings of the region in a series of vicious battles, and fell in love with the place. At over 7,000 ft, it was perfect for homesick Englishmen, suffering from the burning Indian plains. In 1825, a Captain Young built a shooting lodge. A couple of years later a sanitarium was built for British soldiers in Landour Cantonment and below it, the marketplace of Landour took shape. This area retains its old world charm with the bustle of the local Garhwali people—some still dressed traditionally—and the thousands of Tibetans who live here. The Buddhist monastery and shops offer Tibetan handicrafts and embroidered Garhwali dresses. The narrow road winds down to the Picture Palace end of the Mussoorie Mall, and this is where the tourism madness begins. On weekends, it’s a scrum of loud, pushy families eating and whining and shopping brainlessly up and down the main street. But devoid of people, it’s a charming enough stretch with neo-Gothic buildings like the Post Office and the Christ Church, probably the oldest church in the Himalayas, dating back to the 1830s. It’s also a foodie Mecca. Grab a coffee at Barista’s or gorge on the momos. Then take the ropeway up to Gun Hill, a high point with great views of the Doon Valley and the Greater Himalayas. And at the end of the Mall, go left at the intersection and carry on up the ridge. The wild profusion of shops and hotels gradually thins out, and you enter a mist-splattered area of schools and old estates belonging to the erstwhile maharajahs of various Raj-era princely states. 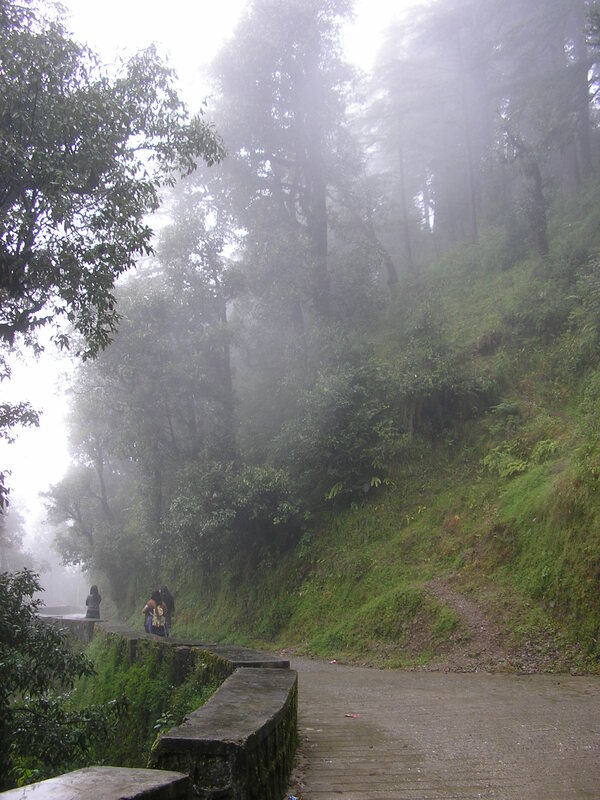 The road climbs up the sparsely wooded spur of the ridge to a scarcely driveable track leading to George Everest’s house. It’s a winding, picturesque ascent through a thick pine forest. Take your time, though, as some stretches are quite steep. After a steady climb comes the hilltop clearing with the ruins of George Everest’s house overlooking the Doon Valley. 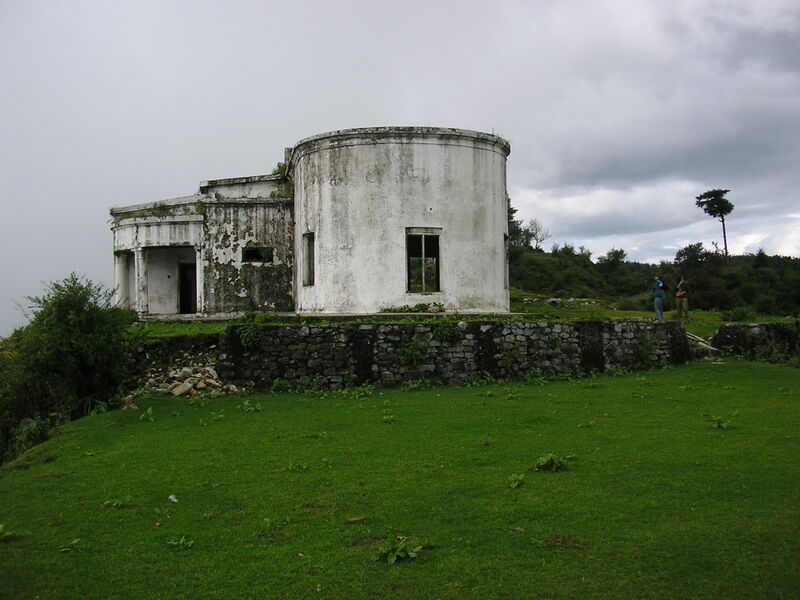 India’s first surveyor, the Welshman Everest built his house here in 1833, and much of the work of the Great Trigonometric Survey of India—which discovered the world’s highest peak—was done here. To the left of the house is a sacred grove festooned with hundreds of Tibetan prayer flags. At the end of a long walk, there’s no better place to sit and let the clouds wash over you, while the flags flutter in the breeze, blowing its prayers out over the endless chain of valleys and mountains. I remember this! Didn’t you knock on Ruskin Bond’s door but he wasn’t in? Nice stuff Bibek, as always. That was beautiful, Beq-some. A friend is heading that way in a few days, I’ll forward the post to her.